joe biden vp | six words to change the world. 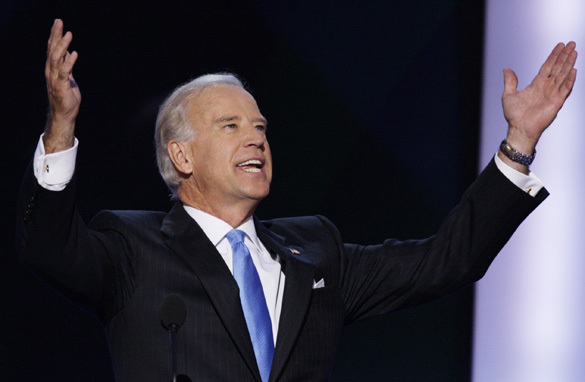 joe biden is our vp candidate! He looks so vice presidential! Good choice, B. OBAMA/BIDEN 2008! Here is the WaPo story. And here they are, looking at hope and change on the horizon. And again, sharing a laugh. Look at them–they are adorable. ADORABLE.